There’s no doubt about it — life is busy. Whether you’re planning an upcoming vacation, juggling the many obligations that come with being a working professional, or navigating the ins-and-outs of raising a family, it’s all too easy to forget about home maintenance. This is especially true in the spring when the weather warms up and events like graduations and outdoor picnics start consuming your weekends. As busy a time as it may be, spring is also a prime season for home maintenance. Between the wet weather, high winds, and rising temperatures, your home will be under attack, and if it has not had the proper maintenance after a long, cold winter, you may find yourself dealing with leaks, mold growth, and more. An ounce of prevention is certainly worth a pound of cure, and in this case, the best preventative medicine is proper spring home maintenance. A solid spring home maintenance plan addresses both the interior and exterior of your home. In March, Hassle Free Home Services begins by changing the batteries in your smoke detector, carbon monoxide detector, and thermostat. This keeps you safe as you finish up heating season. Even after heating season ends, if thunderstorms roll in and you use a generator to power your home, having a working carbon monoxide detector and smoke detector is paramount to your safety. When April arrives and the weather grows a bit warmer, it’s time to start focusing on the exterior of your home. Hassle Free Home Services will attach your exterior hoses so you’re all ready to water plants and your lawn. We’ll check and replace your insect screens to keep insects out when you decide to open the windows, and we’ll check over and replace your weatherstripping to ensure all of your windows and doors are well-sealed. This is also the perfect time of year to change your air filter; this way, the filter won’t be overlooked when you later turn on the air conditioning for the summer. May is warmer still, and the warmer weather presents a few added threats, like rodents and tree damage. Any holes will be plugged so mice and rats cannot seek refuge in your home. 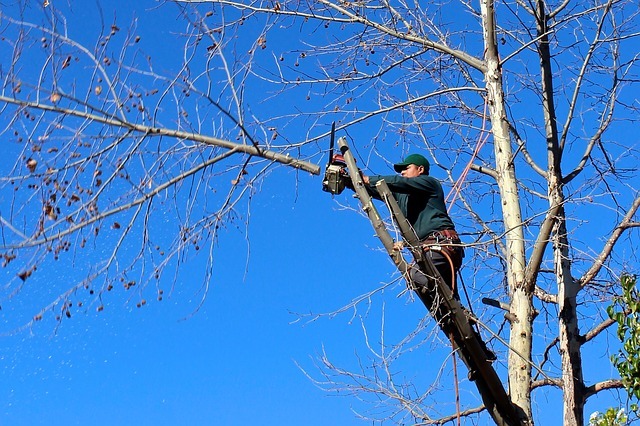 This is the perfect month to trim back any trees that are overhanging your roof, which will prevent shingle damage and moss growth as the weather warms up. If you have an attic fan, May is a good time to uncover and inspect it — which can be done while the roof is also inspected for winter damage. If you keep up with spring maintenance every year, your home will remain in better condition, and you’ll have fewer major repairs to worry about. If you struggle to get to springtime maintenance tasks, let Hassle Free Home Services handle it. During our monthly appointments, we’ll perform routine and seasonal maintenance tasks, saving you time and headaches.